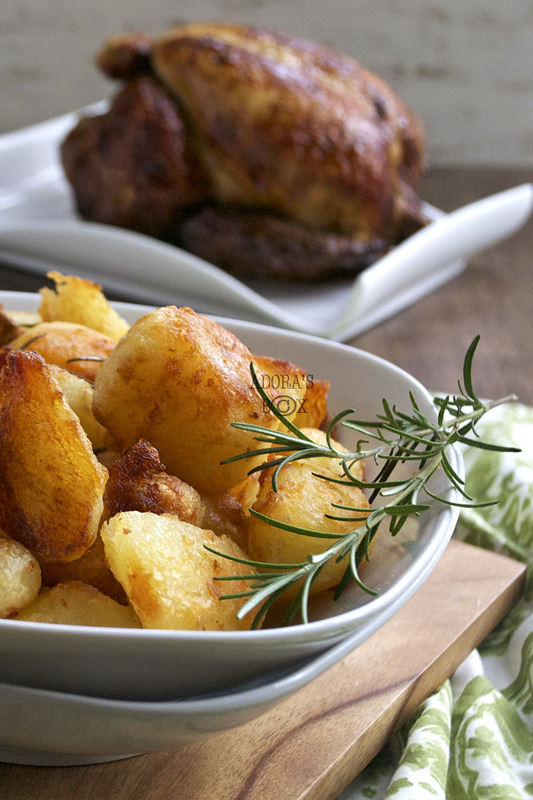 Roast potatoes are the tastiest accompaniment to any roast. 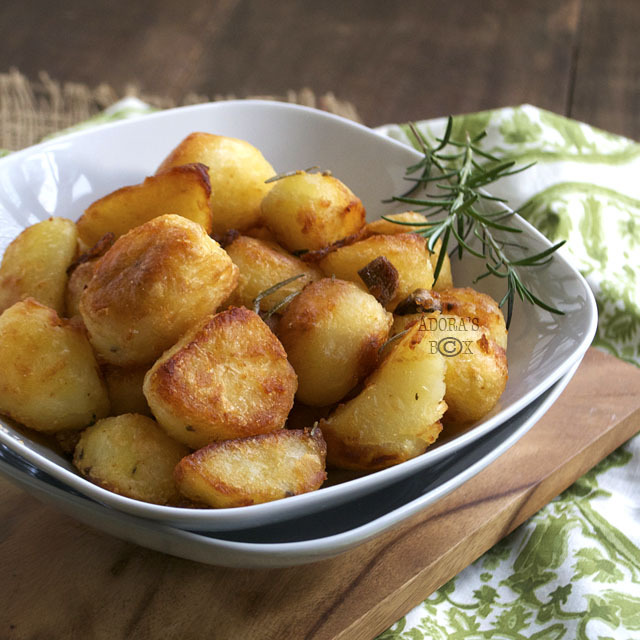 There is no secret to making them; just a simple straightforward method of parboiling and roasting. The only trick up my sleeve is light soy sauce to give it an umami boost. This simple addition takes it a notch up the tastiness scale. 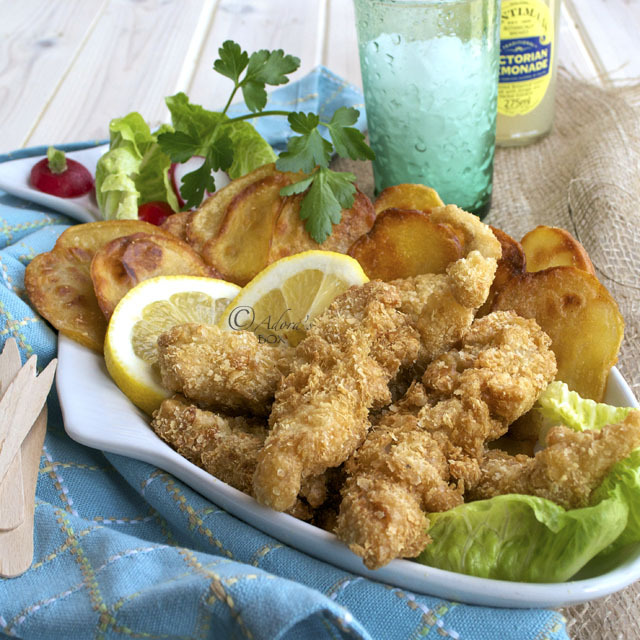 The flavour is undistinguishable but is enough to make a difference to the taste. Herbs or garlic may be strewn amongst the potatoes for added flavour. I like it very tasty, crisp on the outside and fluffy inside. If not, I'll just eat french fries. To achieve this, the parboiled potatoes are given a shake to roughen the surfaces before being tossed in hot oil, preferably hot goose fat. A crumbly crust is formed on baking, sealing all the moisture in. The flavours become more intense after roasting. 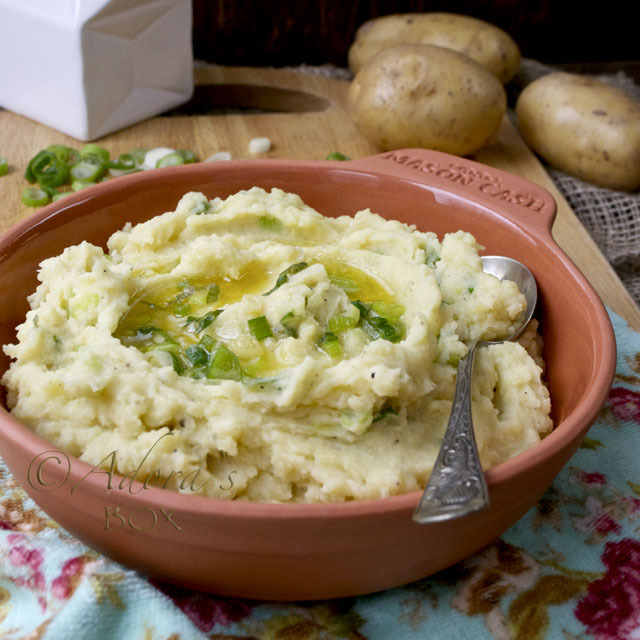 If you are a carb fan, I'd say double this recipe. 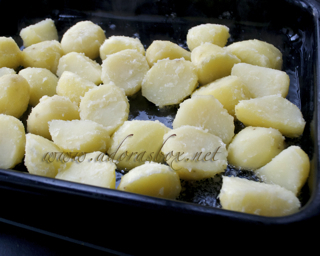 Pre-heat the oven to 400° F/200° C.
Peel the potatoes and cut into large chunks. Put them in a pot and cover with water. Add the salt and soy sauce and bring to a boil. Simmer for 5 minutes. While the potatoes are simmering, put the oil in a large roasting pan. Put the pan in the oven. Drain the water out then put the potatoes back in the pot. Put a lid on and give it a shake. 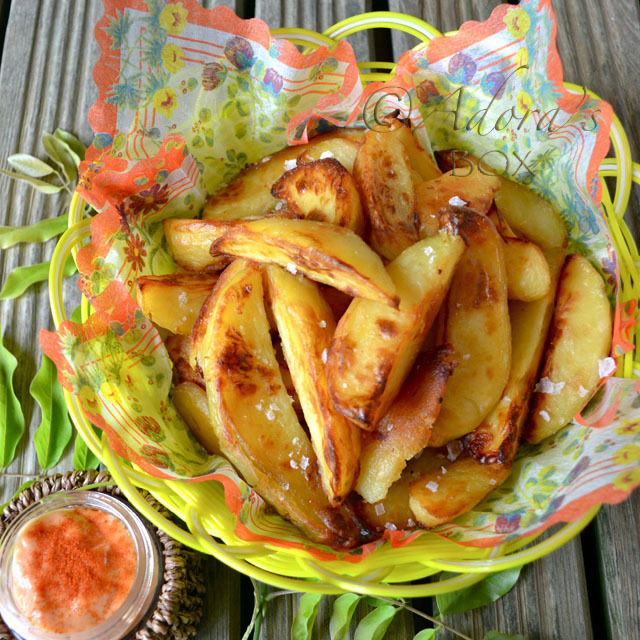 This will roughen the outer layer of the potato pieces and give it a crust when roasted. Add this to the hot oil in the roasting pan. Stir to coat every piece with oil then spread in a single layer. Scatter the herbs and garlic on top if using. Roast for about 40 minutes or until browned and crisped, turning halfway through the cooking time. Transfer to a serving dish and serve. Whenever I roast/baked chicken I usually have some potato to bake along. 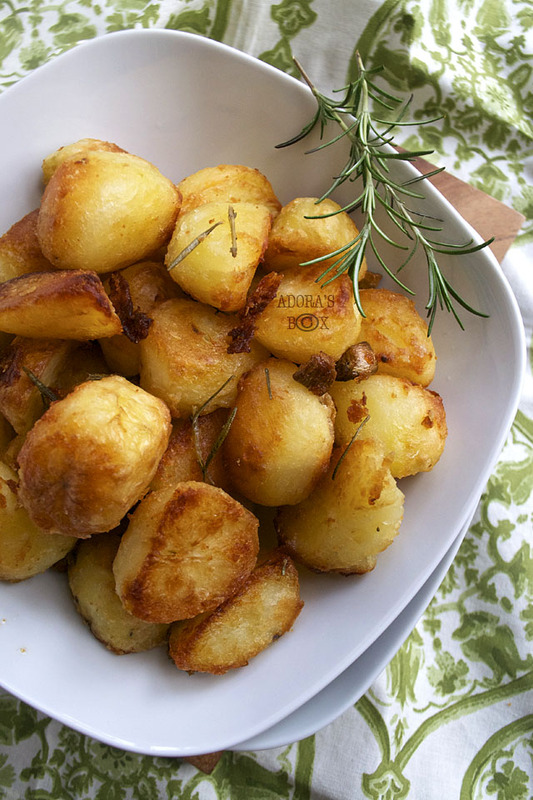 Your roast potato looks so golden and well brown. Yum.